This 166-page ebook is the definitive guide for manufacturers looking to get started with a modern, digital go-to-market system. Download the book. Success in manufacturing today requires a Customer Relationship Management (CRM) tool. If you're not controlling your customer relationships and your prospective customer relationships, you're not engaged with your target market. This ebook will get you started and answer your questions about setting up and using a CRM. Sales and marketing technology is a 'must have' in our competitive, global, manufacturing world. But the choices are overwhelming! The HubSpot Growth Stack is an overview of the critical technology you should be using and how it fits with the overall HubSpot solution. Are you wondering why or how you should change your go-to-market strategy? The reasons are numerous and compelling! 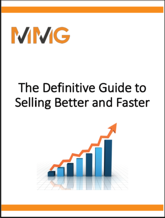 What’s the secret to accelerating sales growth? While people and process usually precede systems, sales is somewhat of an exception. The right customer relationship management system (CRM) can actually help empower people and define process. In this guide, learn how a CRM system can accelerate your business’ growth, bring in profitable, happy customers, and enable your sales team to sell better and faster.